The Terrorgheist - A New Dawn for White Dwarf? Today I picked up the August issue of White Dwarf, issue 380. I was rather excited to get this particular issue, as I am an avid vampire counts player and all the reports suggested we were in for a treat in this issue. The thing that really interested me though, was that by all accounts, official rules were being published in white dwarf. This was an eyebrow raiser. It's been years since GW have done that for fantasy. I do remember a time when white dwarf was fairly full of new rules, scenarios and general gaming goodness. I've been reading the magazine since issue 95, so I've seen a lot of peaks and troughs. White Dwarf in recent times has been lambasted as a catalogue and little else. 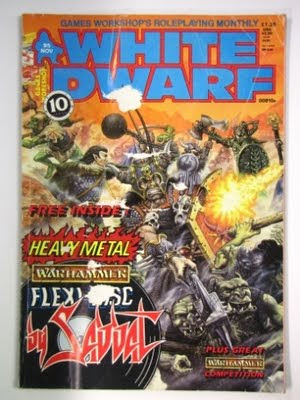 For my part, I like white dwarf, while simultaneously agreeing with the incensed rage-fiends and quite reasonable folks alike of various warhammer forums about the lack of gaming content in the magazine. But still, I like it, catalogue or no. The new vampire count rules this month have given me the hope that white dwarf might get the same treatment that the orc & goblin and tomb kings books have been given. Excellent quality books, beautifully designed and illustrated with in-depth background sections and well balanced army lists. GW seem to have halted the destructive power creep of 7th edition. 8th edition is certainly the most fun version of warhammer I have played, and I hope we get a full set of army books for it. Now, I'm a long-time fan of warhammer fantasy battle, not so much GW. It's a strange relationship. I'm no hater either, I just tend to wince and raise my eyes skyward when I hear of the newest GW gaff. I do however care that they maintain the warhammer fantasy game. With 8th and the subsequent army books, I have reasons to be cheerful. If the newest development along this new track is to start producing regular updates and such in white dwarf in the same balanced and considered manner, then I say yes please and more thanks. Take the terrorgheist for example. It's rules seem balanced, though it's quite pricey but has useful abilities. It slots into the army list as it doesn't replace the vargulf or abyssal terror. It adds variety. It's an option, as opposed to a must have or useless addition. Time will tell, as I've barely looked at it, but at first glance this is how it seems to me. It is also a fantastic miniature, but GW are the masters of plastic miniatures and get better with every kit they make. All in all, a seminal issue. That garden of Morr too. I'll be having that. I thought it assembled as a rather impassable piece of terrain, but it turns out it's usable in multiple sections as a variety of terrain pieces. 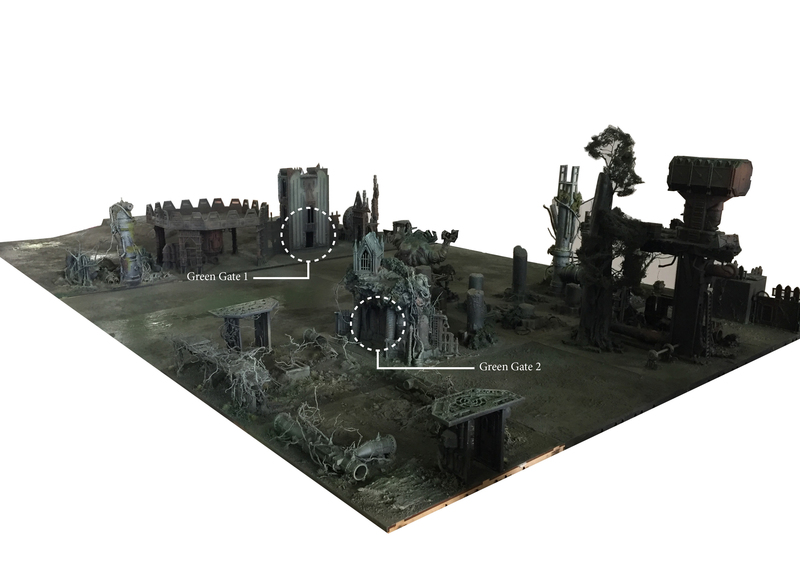 Possibly the best terrain kit I've seen from GW yet. 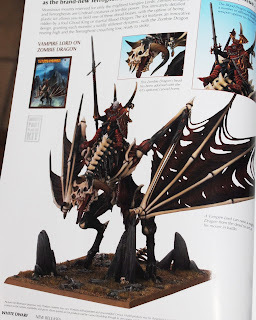 It looks as if the word has broken on the new vampire counts models, and it's a big kit, the zombie dragon, which interestingly, also doubles as a 'Terrorgheist'. That bit had me sit up and take notice. Well now. So, a new unit for vampire counts! Sweet. 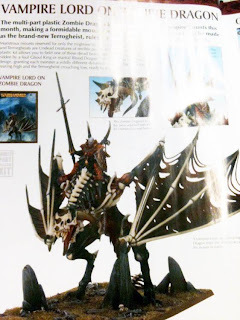 Only having one image to look at, it looks pretty good in zombie dragon form, but I'll need to see the sprues. It's on an enormous base. Here's hoping for rider options, which every vc player will pillage mercilessly for mounted characters of every ilk. All these new rules are meant to be official rules. The Ghoul king mount thing. It's worth some more points than a Varghulf. It can be included as a mount for a ghoul king (which is any vampire lord with the ghoulkin vampiric power) or as a RARE UNIT. It flies, causes terror, is large target, undead. I think it is WS3 or 5, not sure on that. S5, T6, W6, I3, A4, L??. It has a shooting attack similar to the banshee. Roll 2d6 + number of wounds remaining of the monster - Leadership of the target unit = No armour saves allowed wounds. Not sure on the range. I think it was 18". Probably less. It can be upgraded with poisoned attacks and/or a special rule that inflicts 3d6 S2 hits on any BtB unit when it dies. The wraiths become a hero choice, and it seems they can join units. They are the same stats as in the VC book, and can make an special attack, replacing its normal attacks. This special attack auto-wounds and doesn't allow armour saves. The model is plastic and has 3 different heads. It's like levitating, with a cloak and a scythe. The banshees become a hero choice (not sure if they can join units). Not new rules. The model is great. Also levitating. It isn't specified if the wraiths rare unit of the VC book is still usable. I dearly hope the wraiths remain a rare choice, but all this is pretty shocking, as GW look to have returned to actually including official new rules in White Dwarf. This can only be a good thing, as long as it is managed well. Having the rules for your army in various places, bad. 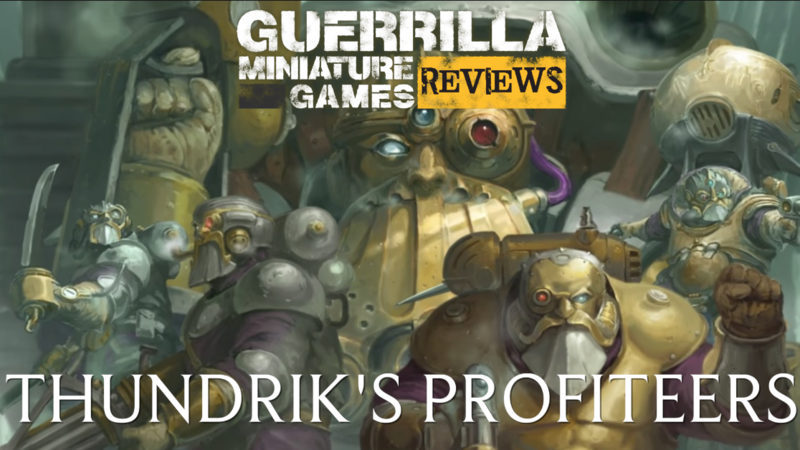 White Dwarf dishing our usable material, giving the game the possibility to be refreshed every month (though that might be overdoing it, but you get my jist) and respond to what the players want more rapidly, excellent. I shall be waiting for the August issue with great interest. A few weeks ago the last BastardCon ran a multi-player game on the Sunday, as is our wont. For a much more detailed article you can head on over to The Blog of Grudges, where RedCraig will fill you in on how he stabbed me in the back after making an oath to ally until such time as we had sent the rest of the pack running. A dwarf! Breaking an oath! It was as well most of his band were slayers already. The fact that I was going to do exactly the same thing to him the next turn is irrelevant. Anyhow. We've had pretty poor luck organising a decent multi-player game at BastardCon thus far. Recently though, I've discovered in the BigRedBook, there is a section on multi-player scenarios. I'm so used to the LittleRedBook that I'd forgotten they were there! So, maybe that might be a runner for next time. For this scenario it was essentially controlling objectives, i.e. the den of scum and villany that was brotheltown. We had quite the entertaining time naming the various buildings. six players duked it out to control these buildings, each of which conferred various bonuses on the owner. We had six turns, and the one controlling the most buildings at the end was the winner. So, why didn't it work? The table was too big. 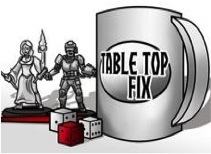 We should have played it on a 4x4 table instead of a 6x4. As it was there was too much footslogging to get to town. This prompted a bout of JK's legendary whining. Not enough urban terrain. This is just a failing in our terrain set. We just don't have enough buildings. I aim to rectify this over the next few months. More alleys, line of sight blocks and killzones would have made for a better game. Back-stabbing dwarves. RedCraig just couldn't help himself. In all honesty though, this provided the most entertainment of the entire game. All those slayers fighting up the steps of the ziggurat made for great tales of heroism. My vampire lord was a nightmare for the dwarves, the problem being he couldn't be everywhere at once. Still, turning dwarves to dust with my wight was great fun. It was also a great opportunity to try out various equipment combinations on my characters. Sword of Kings FTW. 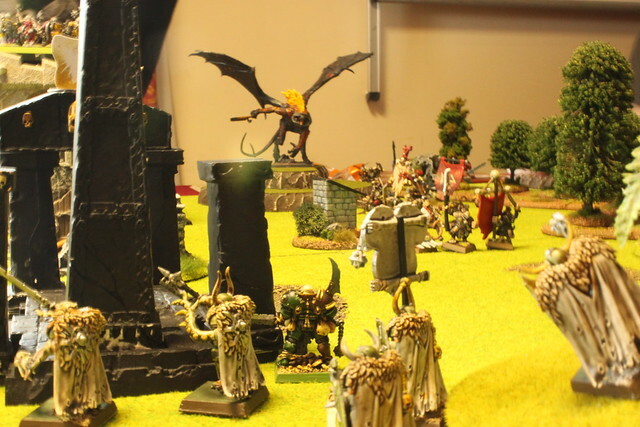 We're well into starting up our Sundered Isles campaign over at CampaignHammer, which any veteran wargamer knows is the holy grail of wargaming, let's hope we can pull it off! I've made a little milestone on Mr Saturday's Mumblings today, I have 50 followers, huzzah! Thanks to everyone for reading and following, I'll have much more Mr Saturday flavoured hobby ramblings for ye in the future! Every so often you come across a gem of a blog. 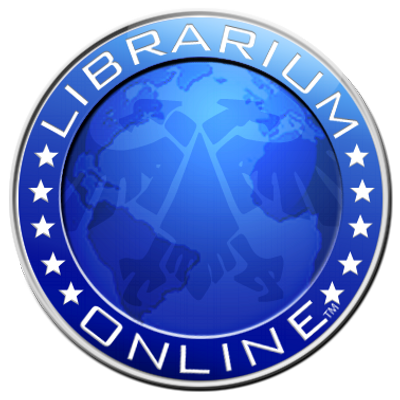 The Liber Malefic is one such. 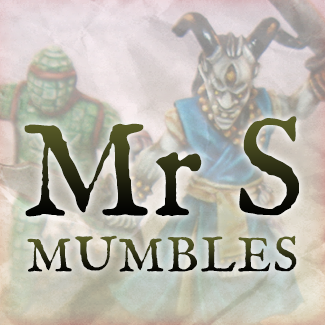 A mordheim blog, it's full of really great ideas and articles and minis. Check it out. The reason I'm so very happy about this blog today is it gave me this image you see before you. Joy. 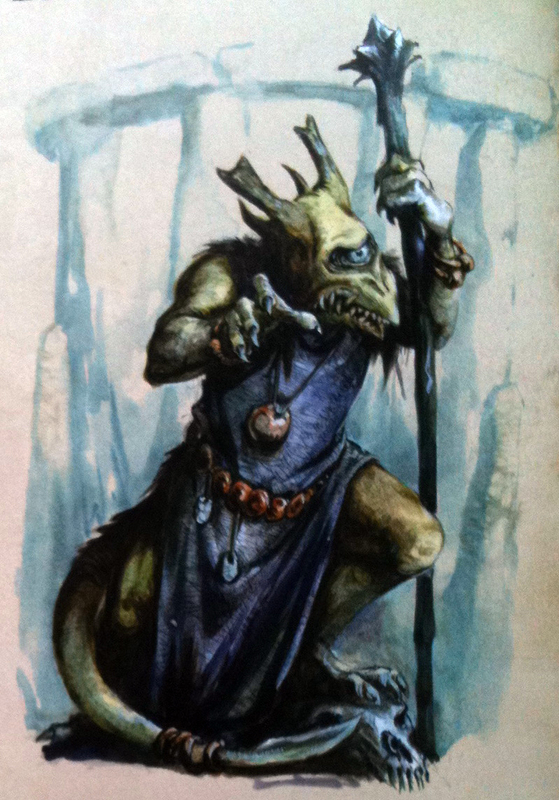 The first official fimir illustration from Games Workshop in what, twenty years or so? So, the fimir come striding back from exile into the GW mythos. To say I am happy about this would be to say the Titanic was a dingy. There must have been a gathering at Games Workshop in the recent past, perhaps some corporate strategy meeting where the agenda was clearly: How do we make Mr Saturday happy this year? (Finecast teething problems aside) There can be no other explanation. First, chaos dwarves return, now the fimir, and next month a new vampire counts monster?! It's almost too much goodness to handle. 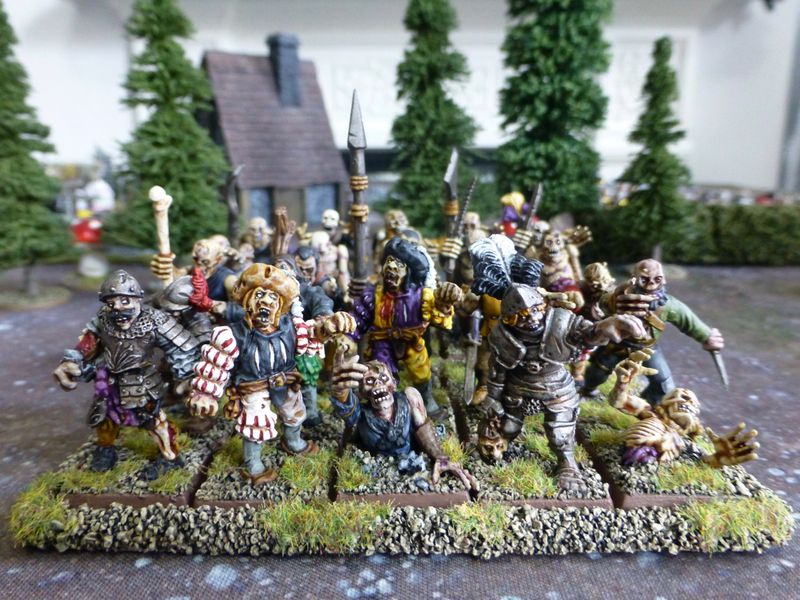 It's been a good time to be a fan of small angry tusked dwarves, one-eyed reclusive monsters and legions of the undead. Gimme more GW, more. What could be next? Fimm warriors plastic kit? Chaos dwarf plastic bull centaurs? New black knights? I'm feeling spoiled, and I likes it. Fimir - Choose a Banner! I have two notions for what way to go with the design I do choose. 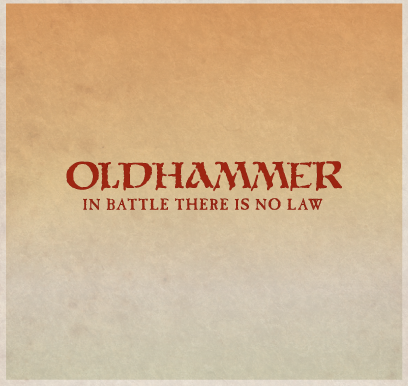 Either, go with something similar to the coloured fimir banners, very bright and vivid, or something more like the boar (but simplified) which would look more like a tattoo. I would paint the banner to look like human skin, so the tattoo thing might horribly fit in. I may keep the skin idea for unit banners, and do the big coloured thing with the army banner. 40K - Genestealer Cults in 6th edition? I'm pretty much a warhammer fantasy guy. The fantasy game holds a lot of appeal for me. I'm a square base man, I guess the parlance is. Like a lot of gamers, I played 40k when I was younger. There was a time I loved nothing more than hefting a frag grenade through a broken window to take out an Ork weapon team . Well, the space marine, not me. Well, not really him either, it was kind of how I imagined he would throw it. Space marines probably heft a lot of things. If they were real. Anyway. I never really left fantasy, but I played a lot of 1st - 3rd edition 40k. I had a few armies, but the one I loved the most was the genestealer cult. 'The what now?' I hear you say. 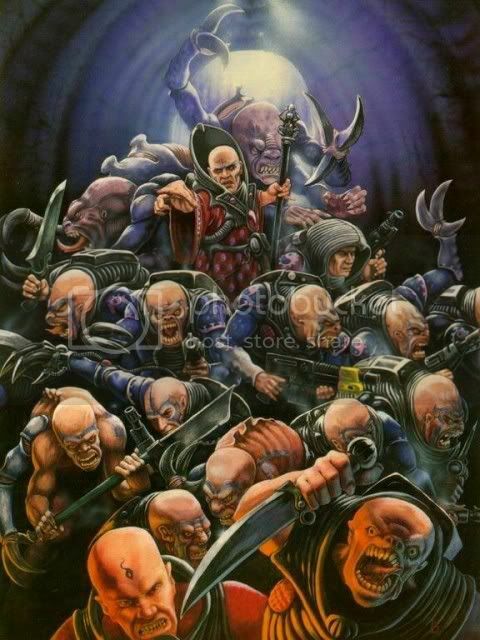 The genestealer cult was essentially the extended brood of a single powerful genestealer known as the patriarch. All the humans he had infected, all their hybrid progeny and the eventual purestrains that resulted formed a secret organisation which slowly ate away at a host society until they reached the positions of power required to undermine it and pave the way for tyranid invasion. The patriarch was unaware that eventually the entire world would be eaten if he was successful. This included his followers, which added that extra level of horror. This made for a great looking army. Infected humans, known as brood brothers, might look human, but were utterly loyal to the cult. Human/genestealer hybrids, ramshackle vehicles, even a limo for the patriarch. I love that. An alien four-armed monster, but dammit, he wants to ride in a limo. In the 40th millennium. Genius. Sadly, the cult was abandoned in later editions, and ultimately I left the game to concentrate on fantasy, though I do still run a genestealer cult gang in Necromunda. Which brings me (eventually) to my point. I have heard some exciting little rumours that we may see the return of the cult with 6th edition. This is awesome news, if true. This would be the list that would make me take up 40k again. In. A. Heartbeat. Hey, they brought the Jokaero back.